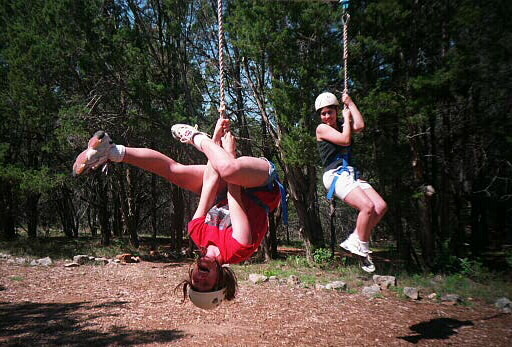 Every spring the men of the church take off on a retreat, and then a month later, it's the women's turn to get away. 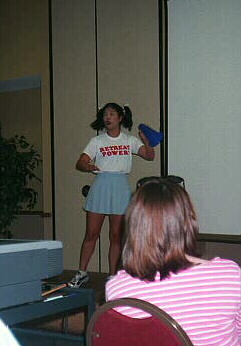 Obviously I don't have pics from the men's retreat; but here are some from the 2000 women's retreat at T Bar M camp. Let's hear it for "Retreat Power"! 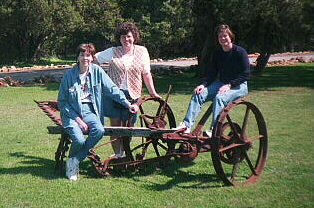 Rumor has it they will be back for this year's retreat also. 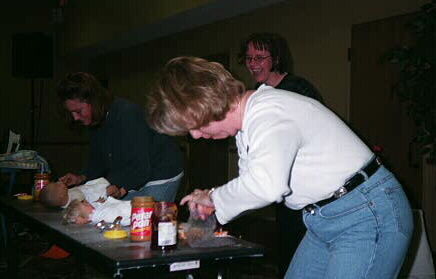 We had our own kind of races, to see who could complete average daily homemaking tasks the fastest. 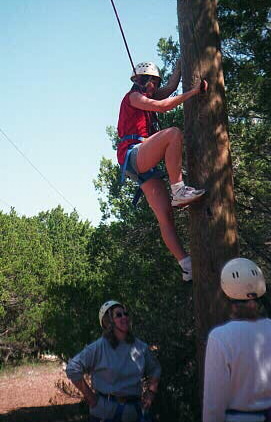 One of the advantages to being at a sports camp was the opportunity to do things like a treetops ropes course. Joley's starting here. Susan making her way across one of the course sections. 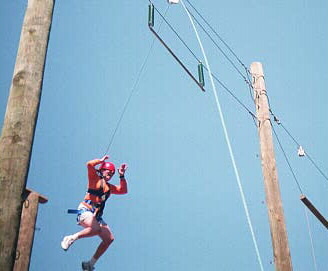 This is Karen coming down after taking a leap off the pamper pole. 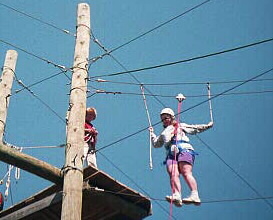 Joley and Tanya on the zipline. It came awful close to the ground in a couple of places.